Fiber Linker HDMI Fiber Optic Extenders can extend the HDMI signal to a long distance with single fiber. Support HDTV video resolutions up to 4096X2160@30Hz. The HDMI Fiber Optic Extender also transmits audio and USB KVM It is used widely by the project of video conference, Multimedia, remote teaching, video wall, and other digital video transmission. 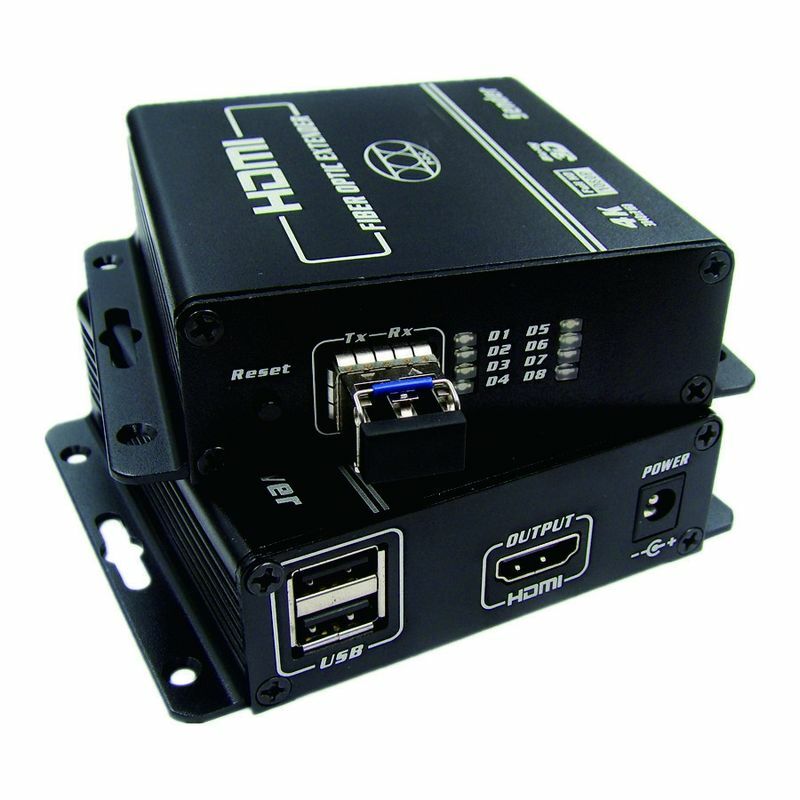 FL3101KVM: 1-ch HDMI with embedded audio, USB for keyboard and mouse, single fiber, single mode, 2KM standard, stand alone. Note: dual fiber supports HDCP, EDID, multimode could transmit 300M, single mode could be upto 60KM.